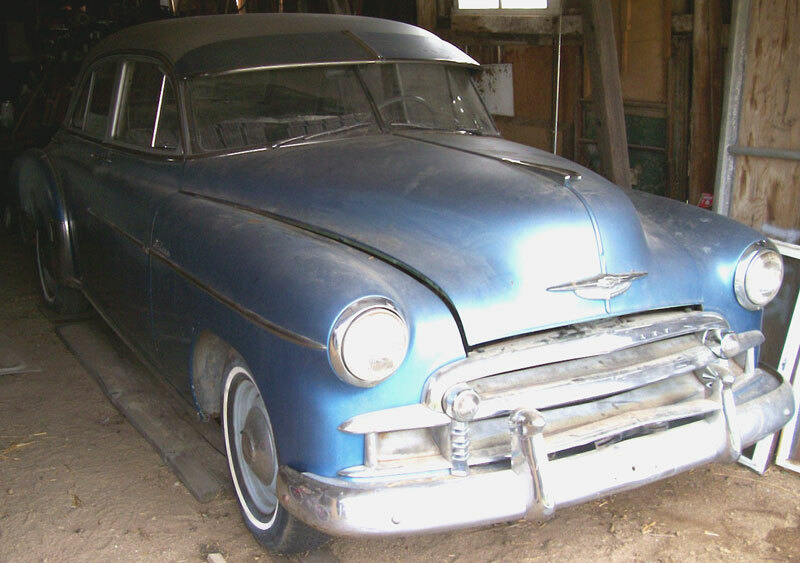 This blue and silver 1950 Chevrolet Styleline Deluxe 4 door sedan is a reliable, running and driving car. My client bought it from the original owner, who was a dentist in nearby Anaconda, Montana. It has been garaged since that time. The two-tone blue and silver paint is not stock. It has a factory sun visor. The hub cabs are all there. There are a couple minor small dents in the grill. There is a little rust around the right rear wheel well and below the right license plate light in the rear panel below the deck lid. There is some wiper burn on the right windshield. The wheel skirts are missing. 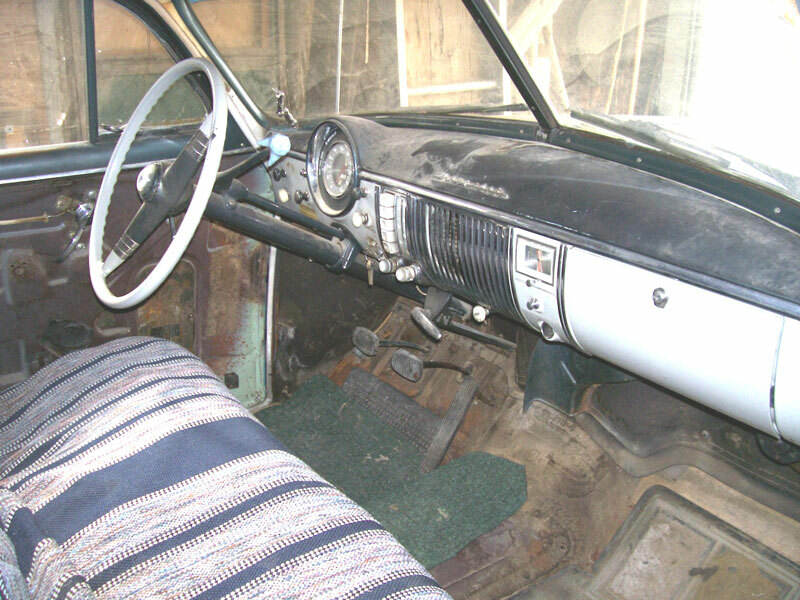 The original interior is all there. The left door panel is inside the car and the arm rest is missing. The car needs a new interior. The dash is complete and in good condition. The front floor has some repairable rust areas near the right corner of the passenger side seat, between the master cylinder fill cover and the gas pedal and in the center of the driver floor. The rear floors have the original carpet which we will not pull up. The trunk floor is solid. 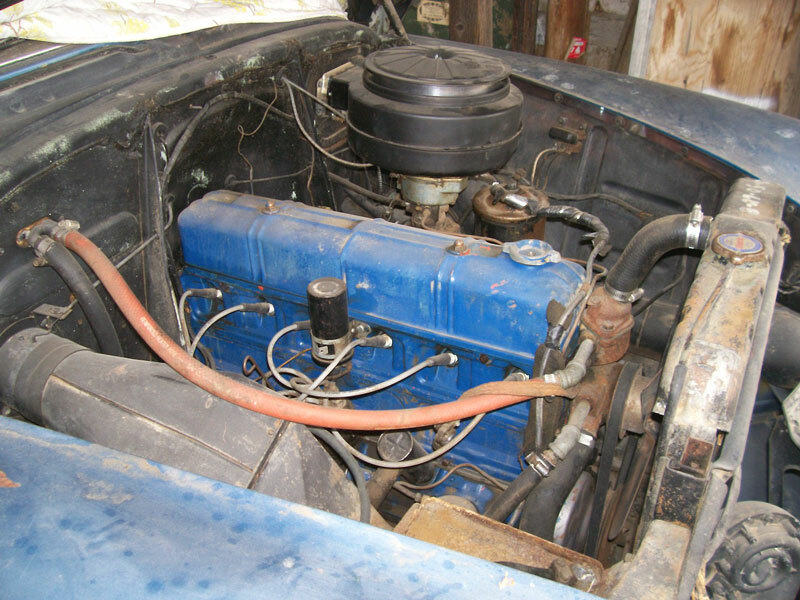 The spare and jack are in the trunk.The car has a recently-rebuilt original 216 CID 6 cylinder OHV motor and 3 speed manual transmission. The chassis and suspension are solid and straight.Don't miss the chance to own and drive this well-running 50 Chevy sedan. 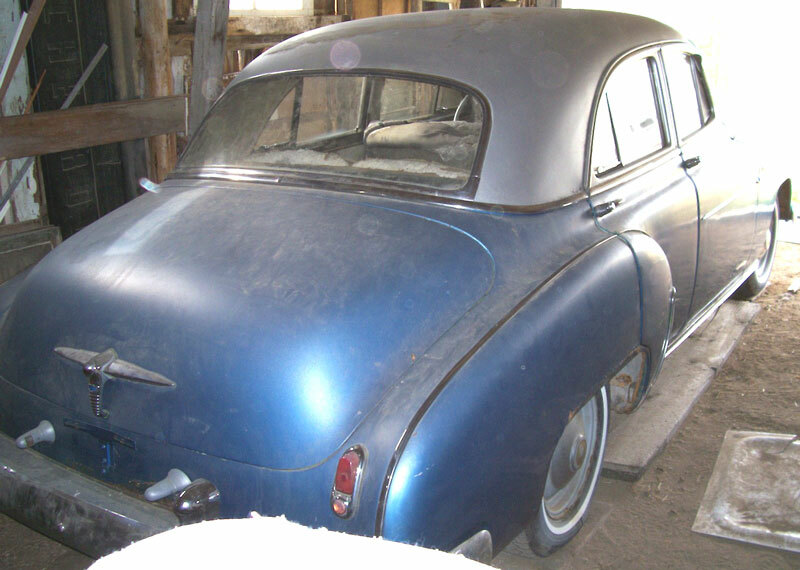 Please call (406) 318-0270 for details about this 50 Chevy Styleline sedan.